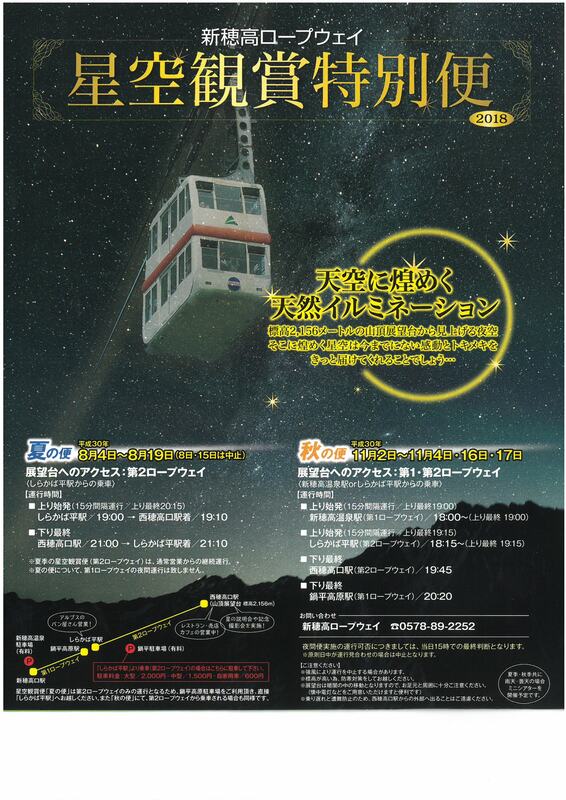 ※The 1st ropeway operates normally only for business and does not operate at night. 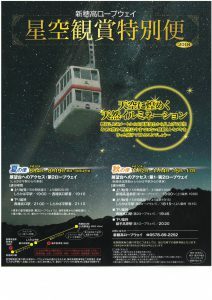 Please use “Nabehira parking ” (Pay) in front of the 2nd ropeway if you use the Special Night Sky Viewing Trip service. 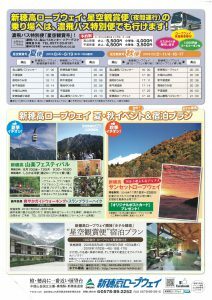 ※ It is not necessary to make a ride reservation. Please purchase a ticket at the ticket office. ※Operation may be stopped during strong winds. ※The viewing platform is at a high elevation, so please remember to wear warm clothes. 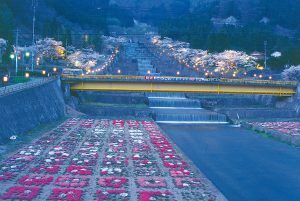 ※The viewing platform will be dark, so please watch your step. 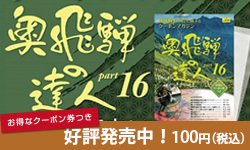 ※To prevent accidents and missing your ride, please do not go outside Nishiho Takaguchi Station. ※3:00 pm is the final decision whether operation at night. Basically, when the daytime is canceled it is also canceled at night.